Prawns Balchao or Prawns Pickle is a recipe which I learnt from my mom. I am proud to say that my mom’s prawns pickle turns the best. Nothing can beat my mom’s magic of making prawns pickle. She taught me this recipe when I got married and I had written it down in my diary. Today I am sharing with you all this secret recipe. There is a secret in this prawns balchao recipe which is unique only to my mom making this 🙂 I have shared the secret in the ingredients. Hey! 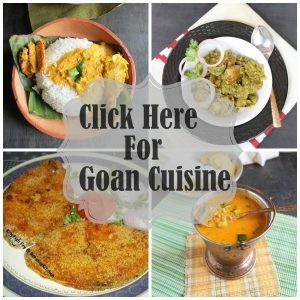 There are various ways in which Goans prepare prawns balchao. Goan Christians add vinegar instead of lime juice. So if you get some fresh vinegar you can add it to the recipe. Some people add tomatoes too. Cleaning and de-veining the prawns is a big challenge. So mom used to sometimes ask my help. My late granny taught me to de-vein the prawns once and this is the only fish I know to clean. I am really thankful to her. Mom used to pack this prawns balchao in glass bottles and send it to Bangalore every time we visited Goa. She used to sometimes send a bottle to my in-laws house in Goa too and everyone loved the pickle. So do try this recipe and let me know how it turns. 1) Soak the tamarind pulp in 1 cup water for atleast 15 minutes. 2) De-vein and clean prawns. Refer to this video to know how to de-vein prawns. 3) After cleaning, add chili powder, turmeric powder and mix well. Keep it aside. 4) Take the tadka pan or any small pan, add asafoetida and 2 teaspoon oil. 5) After 1 minute, add black pepper and mustard seeds and close the lid. 6) After mustard seeds splutter, switch off the heat/gas and let this cool. 7) After cooling make a paste of this using a mortar and pestle. 8) This masala can even be done and in advance and stored in fridge. 9) Heat a kadai/pan, add 5 teaspoon oil. 10) Add chopped onion and fry till onions turns mushy. 11) Add garlic and mix. Fry till aroma gets emitted from garlic. 12) Add prawns and mix. 13) Add the tamarind pulp along with water, mix and close the lid. 14) After 10 minutes, add a teaspoon of the masala paste to the prawns in the kadai. 15) Mix well and let it cook. 16) After 5 minutes, taste and if needed add salt. 17) Garnish with lime juice and close the lid. For other prawns/shrimps recipes, click here. Also check prawns fried rice, rava fried prawns and prawns cutlets recipes. I'm going to try this one. You seem so proud of it.